Anesthesiology residency at the University of Florida provides extraordinary in-depth and hands-on learning opportunities in both clinical and research areas for individuals seeking diverse and stimulating training. Provide a superior clinical and didactic learning environment that engages our world-renowned faculty and provides a clear path for resident growth in knowledge and autonomy as they care for patients with diverse and challenging comorbidities. Prepare residents for any practice environment, whether fellowship, academic medicine, or private practice. Integrate research and innovation into resident education so that our residents continue to contribute to the field of anesthesiology. Engender in our residents a culture of patient safety and quality improvement. 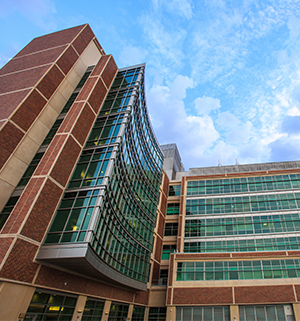 Our program is ACGME-accredited and we are accredited for up to 88 residents in the PGY1 to PGY4 years. We currently offer 20 categorical positions for residents to match into their PGY1 year, as well as one advanced position for those matching to begin in their PGY2 year. Residents spend over half of their time at UF Health Shands Hospital, the UF Health Cancer Center, and the UF Health Heart & Vascular and Neuromedicine Hospitals. The majority of anesthesia training takes place between the operating suites in the UF Health Shands Hospital, the UF Health Shands Cancer Center, and the UF Health Heart & Vascular and Neuromedicine Hospitals. We also provide critical care services to four distinct intensive care units and have two separate facilities (one at UF and one at the VA) dedicated to interventional and chronic pain management. All offsite locations are within five miles of the main hospital.